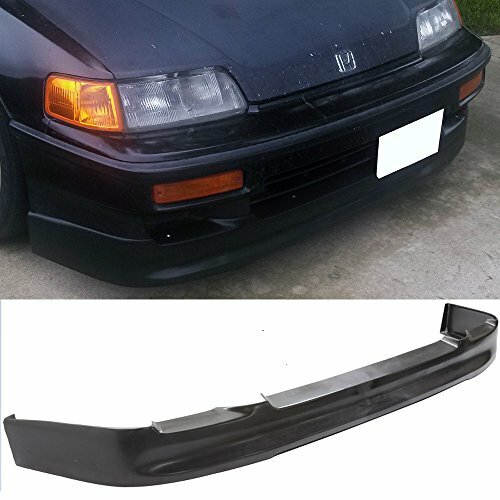 FIT FOR:1990-1991 HONDA CRX SI ONLYIMPORTANT NOTE: ITEM WILL ONLY FIT OEM BODY STYLE UNLESS OTHER SPECIFIED.INSTRUCTION NOT INCLUDED.PROFESSIONAL INSTALLATION HIGHLY RECOMMENDED.TEST FITTING IS REQUIRED TO ENSURE FITMENT. 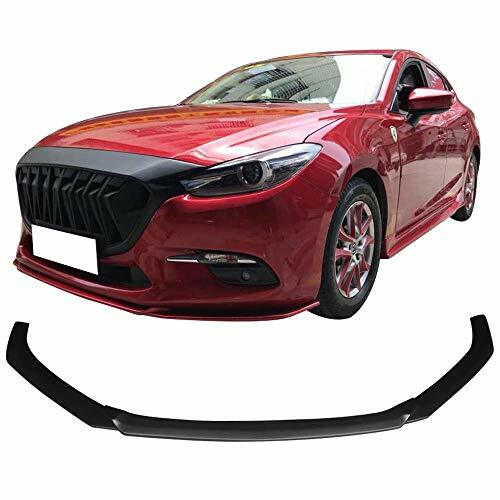 FIT FOR:2014-2016 MAZDAIMPORTANT NOTE: ITEM WILL ONLY FIT OEM BODY STYLE UNLESS OTHER SPECIFIEDINSTRUCTION NOT INCLUDEDPROFESSIONAL INSTALLATION HIGHLY RECOMMENDEDTEST FITTING IS REQUIRED TO ENSURE FITMENT. 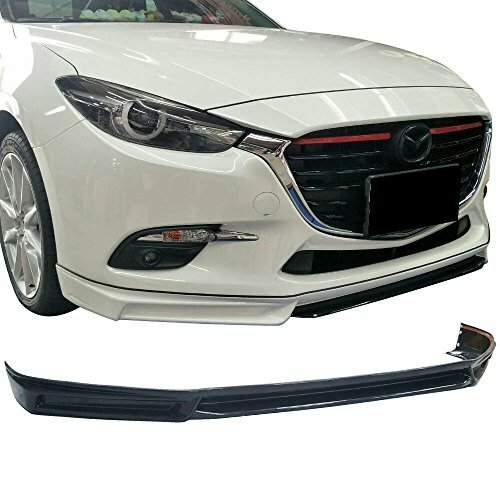 FIT FOR: 2017 Mazda 3 IMPORTANT NOTE: ITEM WILL ONLY FIT OEM BODY STYLE UNLESS OTHER SPECIFIEDINSTRUCTION NOT INCLUDEDPROFESSIONAL INSTALLATION HIGHLY RECOMMENDEDTEST FITTING IS REQUIRED TO ENSURE FITMENT. 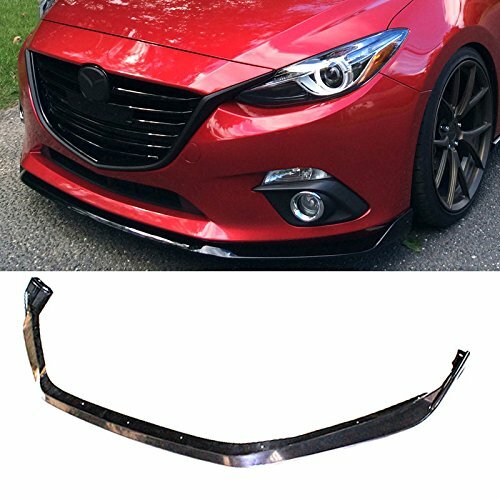 FIT FOR: 2014-2017 Mazda 3 IMPORTANT NOTE: ITEM WILL ONLY FIT OEM BODY STYLE UNLESS OTHER SPECIFIEDINSTRUCTION NOT INCLUDEDPROFESSIONAL INSTALLATION HIGHLY RECOMMENDEDTEST FITTING IS REQUIRED TO ENSURE FITMENT. 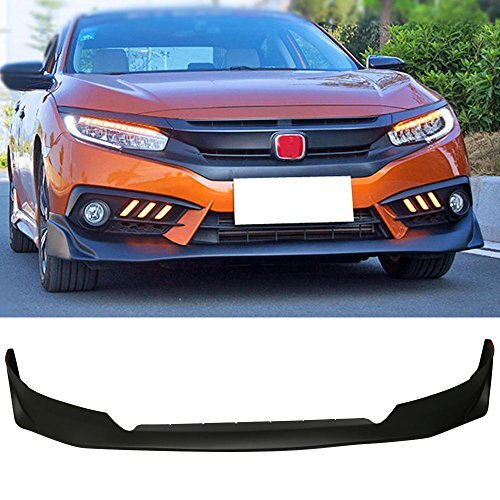 FIT FOR:2016-2018 Honda Civic 2/4DrIMPORTANT NOTE: ITEM WILL ONLY FIT OEM BODY STYLE UNLESS OTHER SPECIFIEDINSTRUCTION NOT INCLUDEDPROFESSIONAL INSTALLATION HIGHLY RECOMMENDEDTEST FITTING IS REQUIRED TO ENSURE FITMENT. FIT FOR:2006-2008 Nissan 350ZIMPORTANT NOTE: ITEM WILL ONLY FIT OEM BODY STYLE UNLESS OTHER SPECIFIEDINSTRUCTION NOT INCLUDEDPROFESSIONAL INSTALLATION HIGHLY RECOMMENDEDTEST FITTING IS REQUIRED TO ENSURE FITMENT. 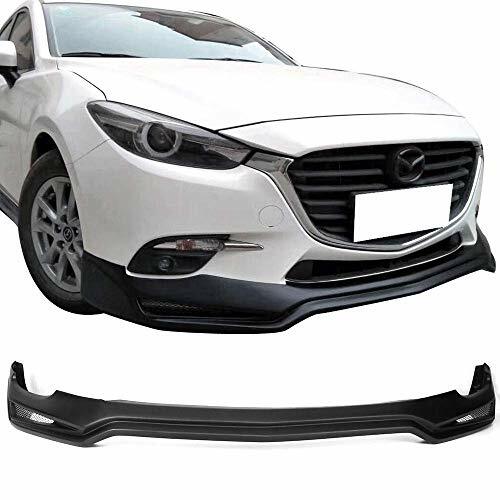 FIT FOR: 2017-2018 Mazda 3 4/5Dr(Sedan/Hatch)IMPORTANT NOTE: ITEM WILL ONLY FIT OEM BODY STYLE UNLESS OTHER SPECIFIEDINSTRUCTION NOT INCLUDEDPROFESSIONAL INSTALLATION HIGHLY RECOMMENDEDTEST FITTING IS REQUIRED TO ENSURE FITMENT. FIT FOR: 2017 Honda Accord Sedan 4Dr Hybrid Only IMPORTANT NOTE: ITEM WILL ONLY FIT OEM BODY STYLE UNLESS OTHER SPECIFIEDINSTRUCTION NOT INCLUDEDPROFESSIONAL INSTALLATION HIGHLY RECOMMENDEDTEST FITTING IS REQUIRED TO ENSURE FITMENT. 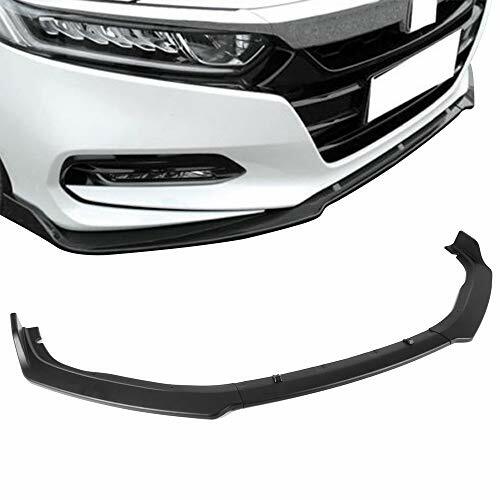 Fit For:16-18 Honda Civic (Does NOT fit SI models)IMPORTANT NOTE: ITEM WILL ONLY FIT OEM BODY STYLE UNLESS OTHER SPECIFIEDINSTRUCTION NOT INCLUDEDPROFESSIONAL INSTALLATION HIGHLY RECOMMENDEDTEST FITTING IS REQUIRED TO ENSURE FITMENT. FIT FOR: 20114-2018 Subaru Forester XT Only Premium TouringIMPORTANT NOTE: ITEM WILL ONLY FIT OEM BODY STYLE UNLESS OTHER SPECIFIEDINSTRUCTION NOT INCLUDEDPROFESSIONAL INSTALLATION HIGHLY RECOMMENDEDTEST FITTING IS REQUIRED TO ENSURE FITMENT. 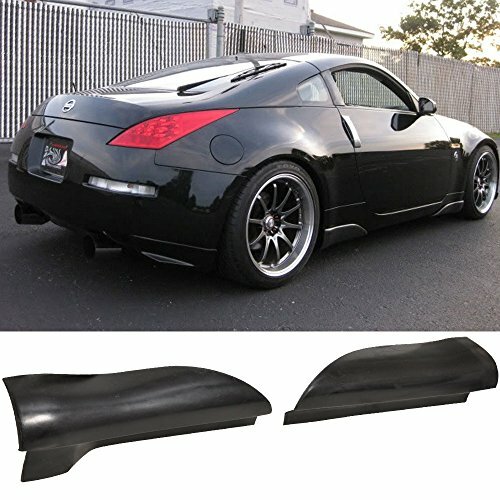 FIT FOR: 2006-2008 Nissan 350Z IMPORTANT NOTE: ITEM WILL ONLY FIT OEM BODY STYLE UNLESS OTHER SPECIFIEDINSTRUCTION NOT INCLUDEDPROFESSIONAL INSTALLATION HIGHLY RECOMMENDEDTEST FITTING IS REQUIRED TO ENSURE FITMENT. 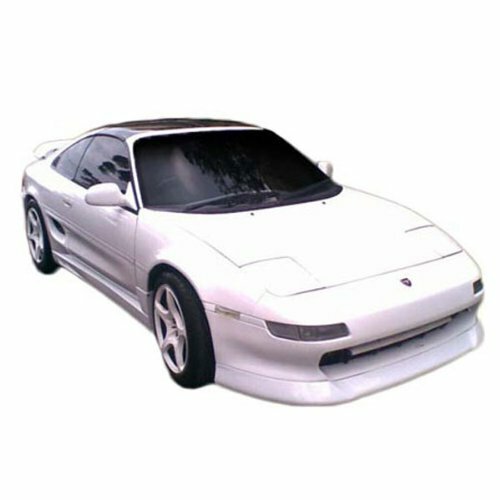 FIT FOR:91-95 TOYOTA MR2IMPORTANT NOTE: ITEM WILL ONLY FIT OEM BODY STYLE UNLESS OTHER SPECIFIED.INSTRUCTION NOT INCLUDED.PROFESSIONAL INSTALLATION HIGHLY RECOMMENDED.TEST FITTING IS REQUIRED TO ENSURE FITMENT. 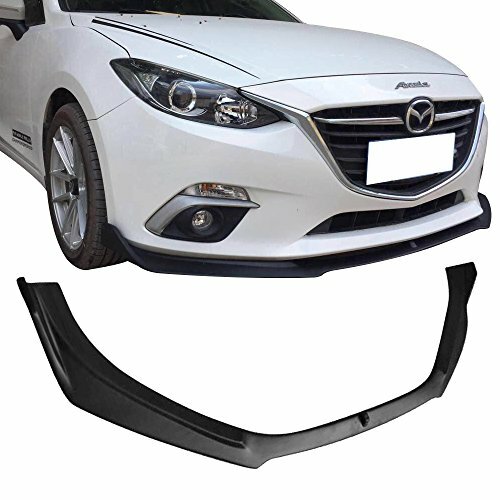 FIT FOR: 2014-2016 Mazda 3 IMPORTANT NOTE: ITEM WILL ONLY FIT OEM BODY STYLE UNLESS OTHER SPECIFIEDINSTRUCTION NOT INCLUDEDPROFESSIONAL INSTALLATION HIGHLY RECOMMENDEDTEST FITTING IS REQUIRED TO ENSURE FITMENT. 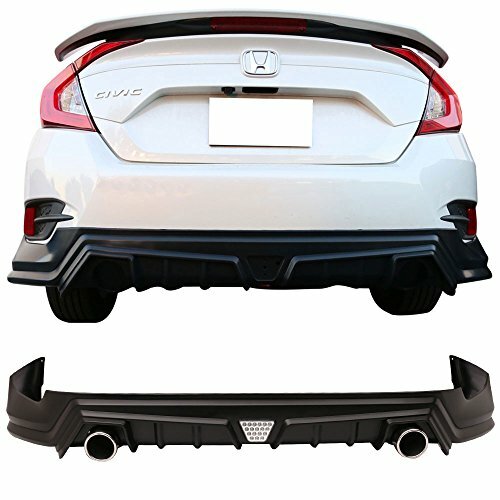 FIT FOR:2016-2018 HONDA CIVICIMPORTANT NOTE: ITEM WILL ONLY FIT OEM BODY STYLE UNLESS OTHER SPECIFIEDINSTRUCTION NOT INCLUDEDPROFESSIONAL INSTALLATION HIGHLY RECOMMENDEDTEST FITTING IS REQUIRED TO ENSURE FITMENT. 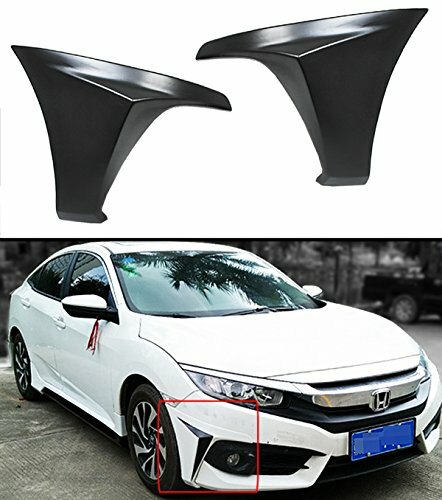 FIT FOR:2016-2018 HONDA CIVIC Sedan OnlyIMPORTANT NOTE: ITEM WILL ONLY FIT OEM BODY STYLE UNLESS OTHER SPECIFIEDINSTRUCTION NOT INCLUDEDPROFESSIONAL INSTALLATION HIGHLY RECOMMENDEDTEST FITTING IS REQUIRED TO ENSURE FITMENT. 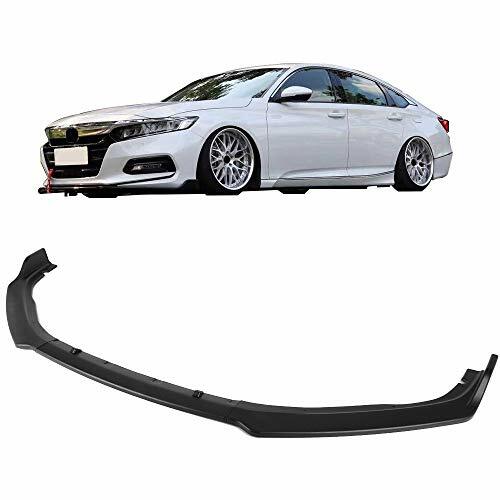 FIT FOR:2013-2016 Honda Accord 4DrIMPORTANT NOTE: ITEM WILL ONLY FIT OEM BODY STYLE UNLESS OTHER SPECIFIEDINSTRUCTION NOT INCLUDEDPROFESSIONAL INSTALLATION HIGHLY RECOMMENDEDTEST FITTING IS REQUIRED TO ENSURE FITMENT. 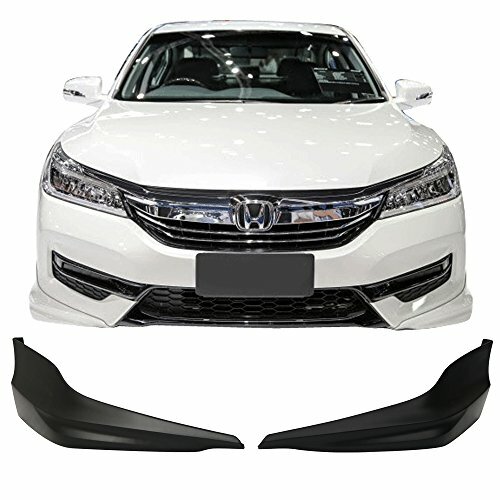 Fit For:For 2018 Honda Accord IMPORTANT NOTE: ITEM WILL ONLY FIT OEM BODY STYLE UNLESS OTHER SPECIFIEDINSTRUCTION NOT INCLUDEDPROFESSIONAL INSTALLATION HIGHLY RECOMMENDEDTEST FITTING IS REQUIRED TO ENSURE FITMENT. 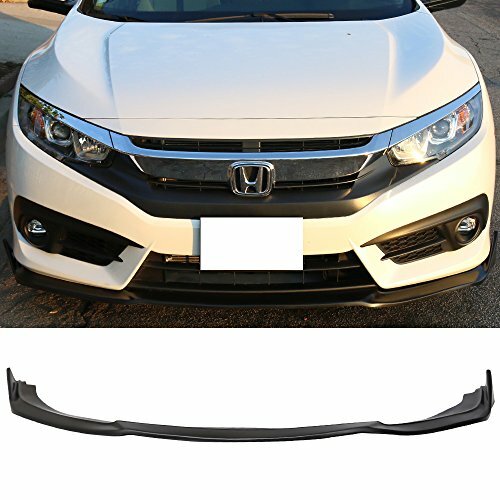 FIT FOR:2013-2015 HONDA CIVIC SEDANIMPORTANT NOTE: ITEM WILL ONLY FIT OEM BODY STYLE UNLESS OTHER SPECIFIEDINSTRUCTION NOT INCLUDEDPROFESSIONAL INSTALLATION HIGHLY RECOMMENDEDTEST FITTING IS REQUIRED TO ENSURE FITMENT. 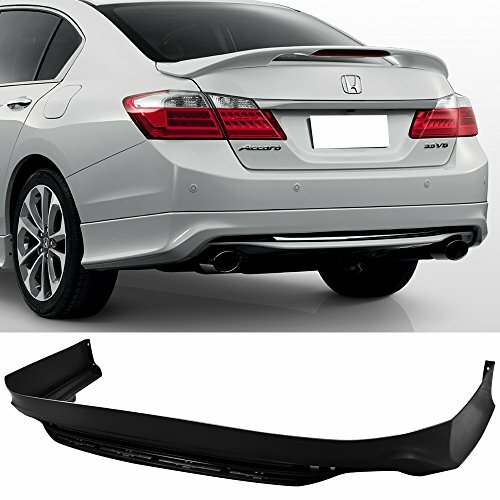 FIT FOR:2013-2015 Honda Accord 4Dr Sedan OnlyIMPORTANT NOTE: ITEM WILL ONLY FIT OEM BODY STYLE UNLESS OTHER SPECIFIEDINSTRUCTION NOT INCLUDEDPROFESSIONAL INSTALLATION HIGHLY RECOMMENDEDTEST FITTING IS REQUIRED TO ENSURE FITMENT. 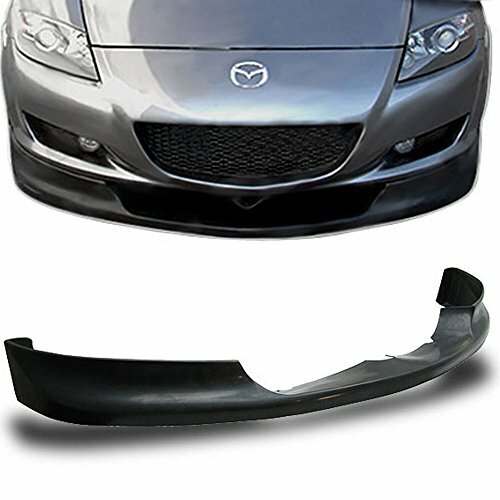 FIT FOR:2004-2008 MAZDA RX-8 ALL MODELSIMPORTANT NOTE: ITEM WILL ONLY FIT OEM BODY STYLE UNLESS OTHER SPECIFIED.INSTRUCTION NOT INCLUDED.PROFESSIONAL INSTALLATION HIGHLY RECOMMENDED.TEST FITTING IS REQUIRED TO ENSURE FITMENT. 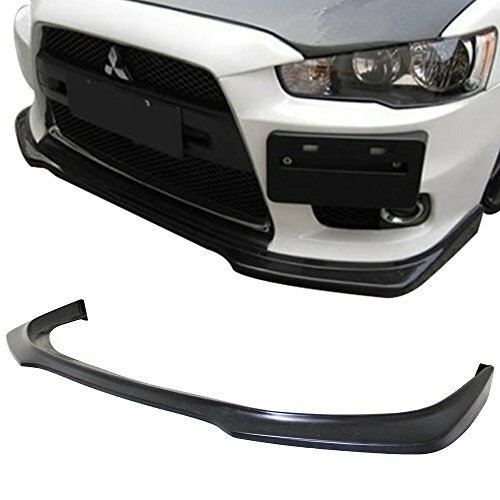 FIT FOR:2008-2015 MITSUBISHI EVOLUTION (EvoX / Evo10) ONLYIMPORTANT NOTE: ITEM WILL ONLY FIT OEM BODY STYLE UNLESS OTHER SPECIFIEDINSTRUCTION NOT INCLUDEDPROFESSIONAL INSTALLATION HIGHLY RECOMMENDEDTEST FITTING IS REQUIRED TO ENSURE FITMENT. 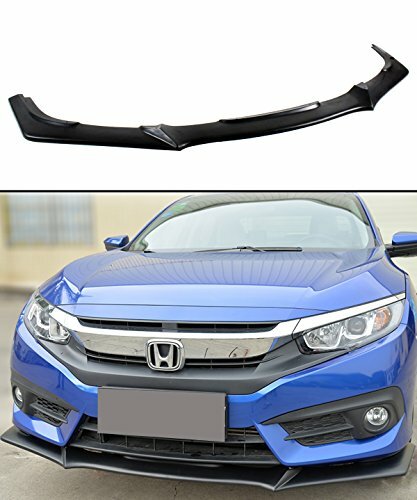 NINTE for 2018 2019 Honda Accord Front Bumper Chin Lip - Gloss Black Sport Front Spoiler - 3pcs Well-designed, 100% match your vehicle. 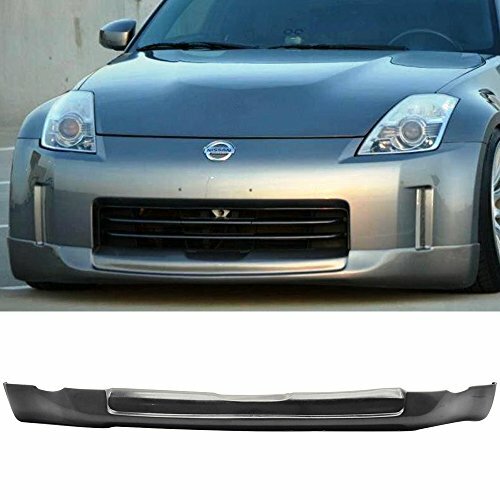 Front bumper lip is made of light weight and durable PP material. More down force to help aerodynamic and drastically improve styling & appearance. NO modification is required. 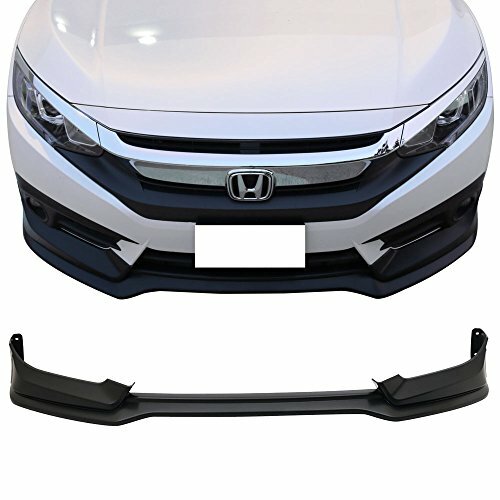 Fitment: Only Fits 2018 2019 Honda Accord 2018 - 2019 Honda Accord EX Sedan 4-Door 1.5L 2018 - 2019 Honda Accord EX-L Sedan 4-Door 1.5L/2.0L 2018 - 2019 Honda Accord Hybrid EX-L Sedan 4-Door 2.0L 2018 - 2019 Honda Accord Hybrid Sedan 4-Door 2.0L 2018 - 2019Honda Accord Hybrid Touring Sedan 4-Door 2.0L 2018 - 2019 Honda Accord LX Sedan 4-Door 1.5L 2018 -2019 Honda Accord Sport Plus Sedan 4-Door 1.5L 2018 - 2019 Honda Accord Sport Sedan 4-Door 1.5L/2.0L. 2018 - 2019 Honda Accord Touring Sedan 4-Door 1.5L/2.0L Important Notice Instruction NOT included, professional installation is highly recommended. 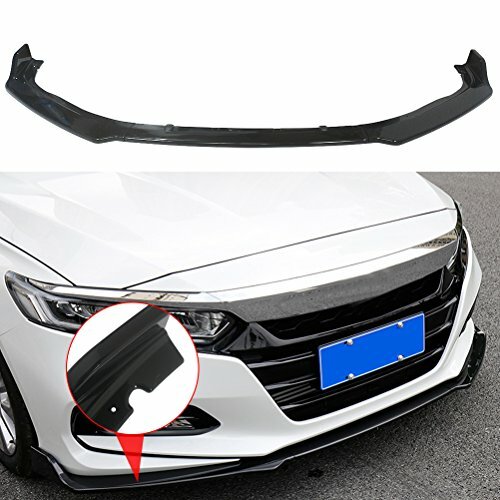 About NINTE: NINTE offers high quality stainless steel bumping parts,chrome parts,license plate frame,grille and more. We are passionate about excellence,You can expect to find quality materials, reliable performance, affordable prices, and great customer service! 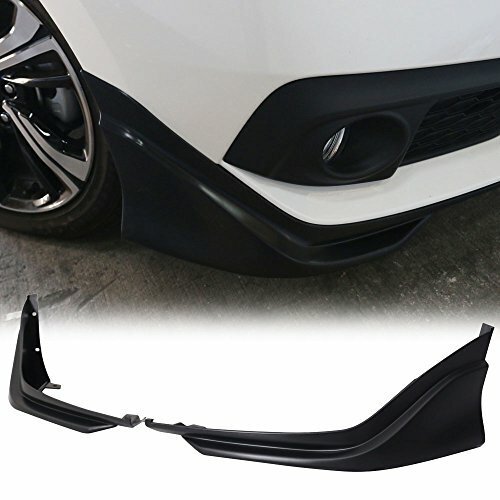 Click 'Add to Cart' now to get the decent Bumper Lip for your vehicle. 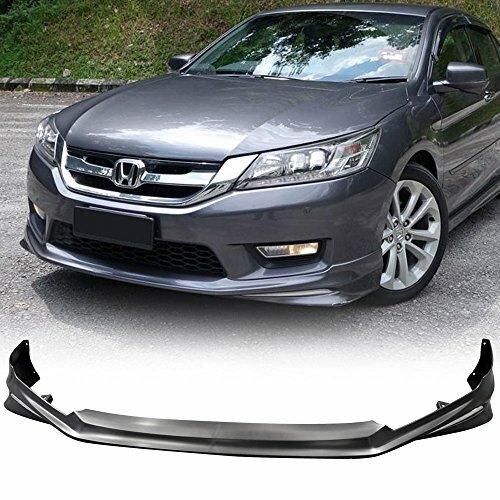 FIT FOR:2013-2014 Honda Accord All TrimsIMPORTANT NOTE: ITEM WILL ONLY FIT OEM BODY STYLE UNLESS OTHER SPECIFIEDINSTRUCTION NOT INCLUDEDPROFESSIONAL INSTALLATION HIGHLY RECOMMENDEDTEST FITTING IS REQUIRED TO ENSURE FITMENT. 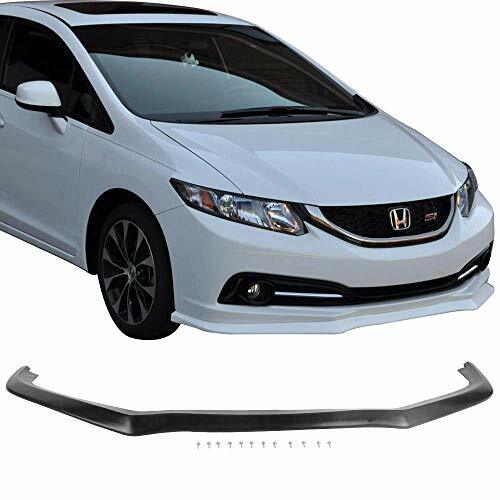 FIT FOR:2016-2018 Honda Civic 4-Door SedanIMPORTANT NOTE: ITEM WILL ONLY FIT OEM BODY STYLE UNLESS OTHER SPECIFIEDINSTRUCTION NOT INCLUDEDPROFESSIONAL INSTALLATION HIGHLY RECOMMENDEDTEST FITTING IS REQUIRED TO ENSURE FITMENT. 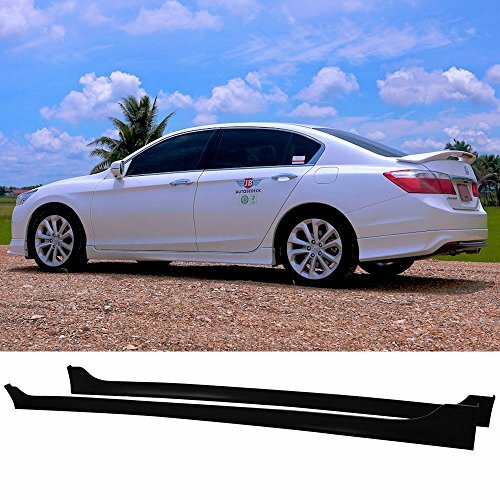 Fit For:16-18 Honda Civic Sedan OnlyIMPORTANT NOTE: ITEM WILL ONLY FIT OEM BODY STYLE UNLESS OTHER SPECIFIEDINSTRUCTION NOT INCLUDEDPROFESSIONAL INSTALLATION HIGHLY RECOMMENDEDTEST FITTING IS REQUIRED TO ENSURE FITMENT. 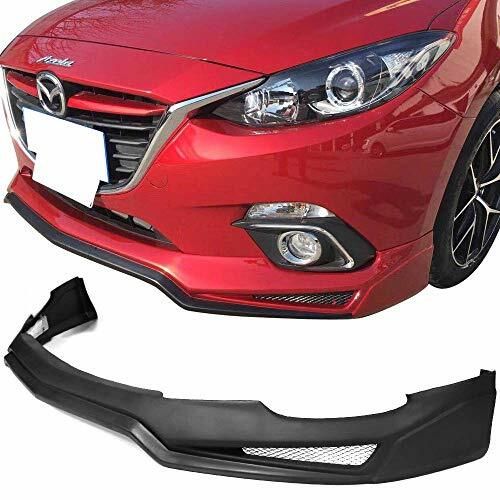 100% Brand NewMade of Durable and Quality Polyurethane.OEM Factory HFP Style 2 Pieces Add-On Front Bumper SplittersDirect Add-On Type Side Bumper Splitters. No Modification or Cutting Required. 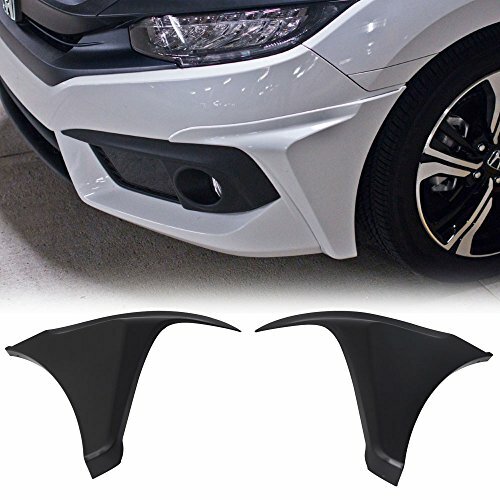 Great Quality and Great Fitment.Improves Appearance and AeroDynamic All at Once.Gives your New Civic An More Aggressive Front End Instantly and Dramatically Improves The Sporty Appearance For Your New Civic. 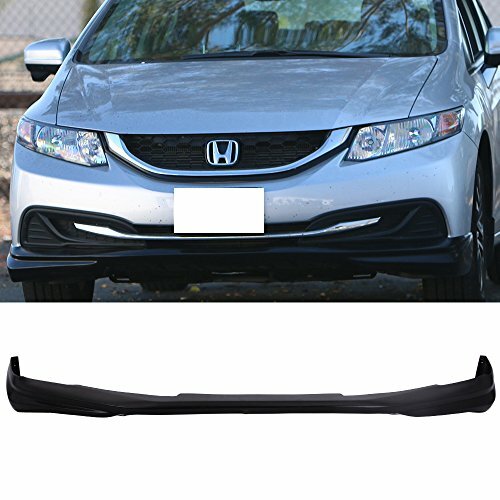 FIT FOR:2013-2015 HONDA CIVIC 4 DOORIMPORTANT NOTE: ITEM WILL ONLY FIT OEM BODY STYLE UNLESS OTHER SPECIFIEDINSTRUCTION NOT INCLUDEDPROFESSIONAL INSTALLATION HIGHLY RECOMMENDEDTEST FITTING IS REQUIRED TO ENSURE FITMENT. 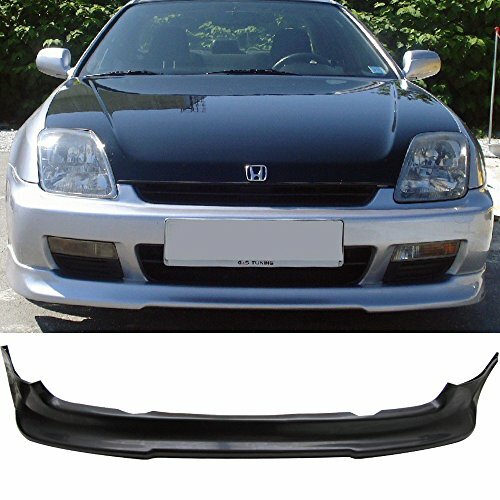 FIT FOR:1997-2001 HONDA PRELUDE ALL MODELSIMPORTANT NOTE: ITEM WILL ONLY FIT OEM BODY STYLE UNLESS OTHER SPECIFIED.INSTRUCTION NOT INCLUDED.PROFESSIONAL INSTALLATION HIGHLY RECOMMENDED.TEST FITTING IS REQUIRED TO ENSURE FITMENT. 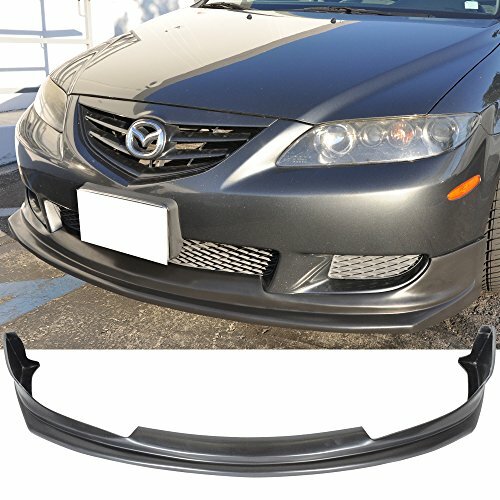 FIT FOR:2003-2005 MAZDA 6 FIRST GENERATION SEDAN ONLY WILL NOT FIT MAZDASPEED MODELIMPORTANT NOTE: ITEM WILL ONLY FIT OEM BODY STYLE UNLESS OTHER SPECIFIED.INSTRUCTION NOT INCLUDED.PROFESSIONAL INSTALLATION HIGHLY RECOMMENDED.TEST FITTING IS REQUIRED TO ENSURE FITMENT. 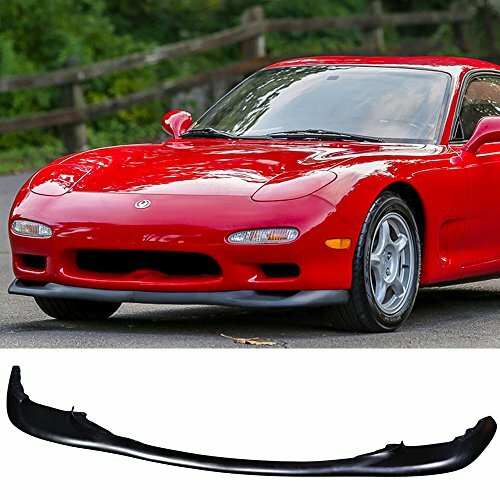 FIT FOR: 1993-1997 Mazda RX7IMPORTANT NOTE: ITEM WILL ONLY FIT OEM BODY STYLE UNLESS OTHER SPECIFIEDINSTRUCTION NOT INCLUDEDPROFESSIONAL INSTALLATION HIGHLY RECOMMENDEDTEST FITTING IS REQUIRED TO ENSURE FITMENT. Short Description Free-motor strives to win your satisfaction, by offering various and excellent auto-part goods, services, and replacements. we ship all items within two days of receiving an order as well as offer 60 Days Limited Warranty. 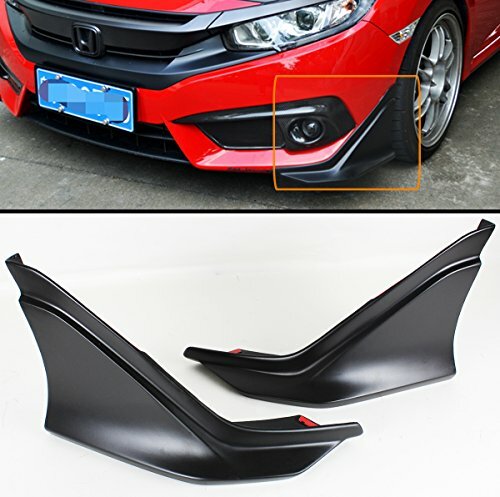 Please contact us if you have any question about this item.Fitment: This item fit for 2018 Honda Accord Please check the fitment description before buying. 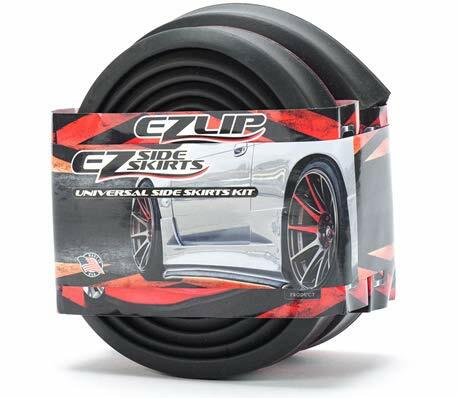 On car image is for reference only.Important Note Instruction Not Included Professional Installation Highly Recommended Test Fitting Is Required To Ensure Fitment Item Will Only Fit Oem Body Style Unless Other Specified. 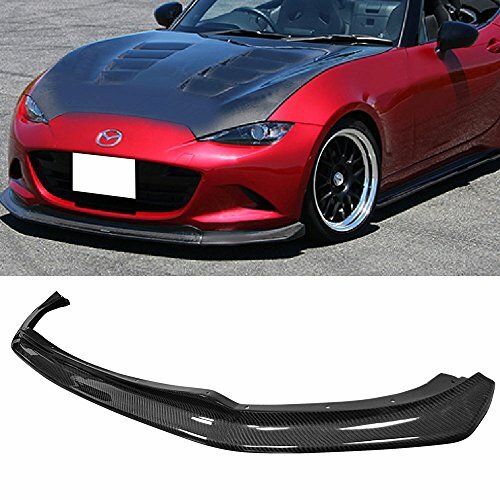 FIT FOR:2016-2017 Mazda MX-5 Miata ND ModelIMPORTANT NOTE: ITEM WILL ONLY FIT OEM BODY STYLE UNLESS OTHER SPECIFIED.INSTRUCTION NOT INCLUDED.PROFESSIONAL INSTALLATION HIGHLY RECOMMENDED.TEST FITTING IS REQUIRED TO ENSURE FITMENT. 100% Brand New Made of Durable and Quality Polyurethane. 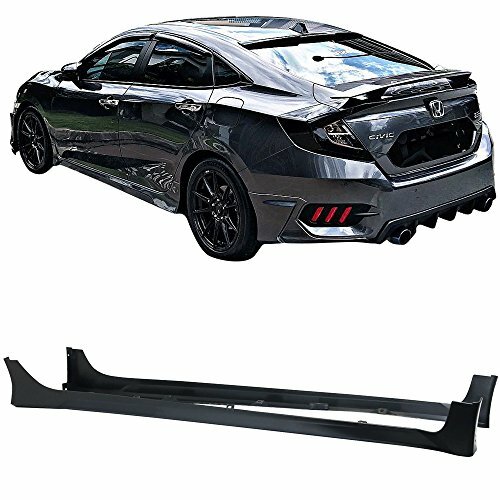 JDM Modulo Style 2 Pieces Add-On Front Bumper Splitters. 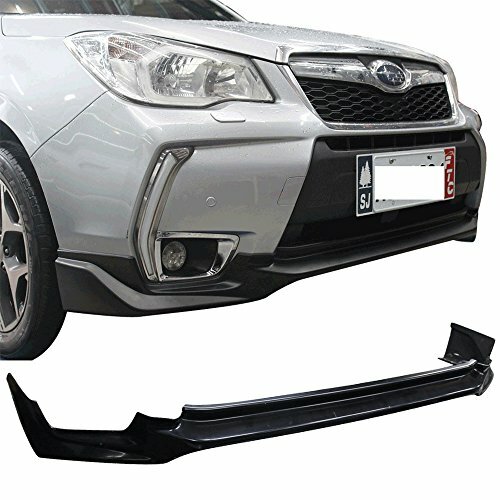 Direct Add-On Type Side Bumper Splitters. No Modification or Cutting Required. Great Quality and Great Fitment. Improves Appearance and AeroDynamic All at Once. 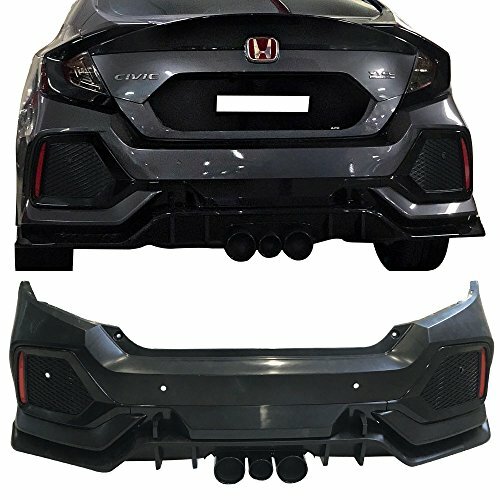 Gives your New Civic An More Aggressive Front End Instantly and Dramatically Improves The Sporty Appearance For Your New Civic. 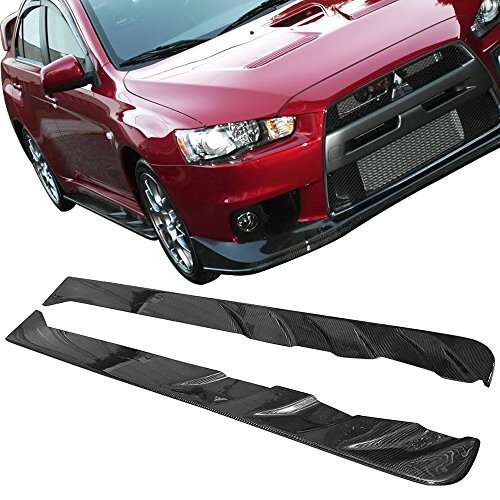 FIT FOR:08-16 Mitsubishi Lancer EVO XIMPORTANT NOTE: ITEM WILL ONLY FIT OEM BODY STYLE UNLESS OTHER SPECIFIED.INSTRUCTION NOT INCLUDED.PROFESSIONAL INSTALLATION HIGHLY RECOMMENDED.TEST FITTING IS REQUIRED TO ENSURE FITMENT. 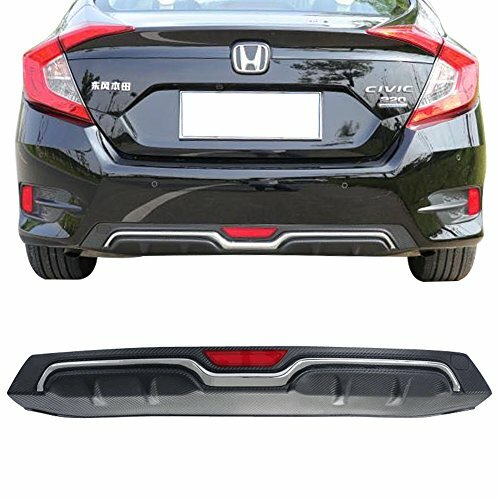 Compare prices on Touring Style Air Dam at LiveSaler.com – use promo codes and coupons for best offers and deals. We work hard to get you amazing deals and collect all avail hot offers online and represent it in one place for the customers. Now our visitors can leverage benefits of big brands and heavy discounts available for that day and for famous brands. We try to makes comparison shopping easy with Product Reviews, Merchant Ratings, Deal Alerts & Coupons. Find Deals, Compare Prices, Read Reviews & Save Money.